Keynes: "In the long run we are all dead". 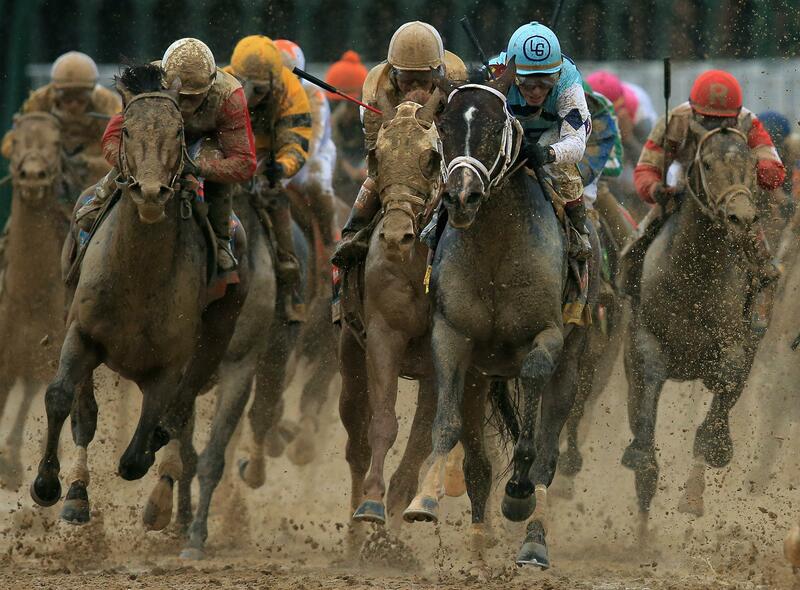 Predicting the winner of Saturday’s Kentucky Derby was hard enough, let alone long-term economic outcomes. To extend the metaphor, Keynes’ point wasn’t that the long-term is unimportant—it’s crucial that a ship eventually arrive at the correct port. But in the middle of the storm an expert sailor needs to be able to say something useful about how to weather what’s actually happening. Economics will not be a useful or interesting discipline if all it can say about exchange rates is that eventually things will work themselves out. In the short run, it makes quite a bit of difference what happens to exchange rates: It can make the difference between prosperity and recession. Policymakers and the public should demand that economists have something to say about it. Consider, for example, Iceland which was hit by an economic storm at least as severe as what’s happened to southern Europe back in 2008 but which now has an unemployment rate below 6 percent. The secret to its success has been currency devaluation, which spread the negative shock to Icelandic wealth evenly across society. That hasn’t let Iceland recapture its halcyon days, but it has helped ensure that nearly everyone is employed doing something. In Spain, by contrast, euro membership prevents exchange-rate adjustment and the unemployment rate is 27 percent and rising. In the long run, domestic prices in Spain will adjust and the storm will pass. But a lot can happen in the meantime. In fact, the very interwar gold standard Keynes bemoaned turned out to have far worse consequences than anyone could have imagined. It helped spawn a worldwide depression. The Great Depression led to surging votes for Adolf Hitler’s Nazis and after they seized power they finally applied fiscal and monetary stimulus to the German economy and consolidated their gains. Keynes lived to see millions perish in World War II as a consequence, but not to see tens of millions of Poles, Czechs, Hungarians, and other Eastern Europeans to live under decades of Soviet oppression as a direct consequence of the war. In the long run, Europe recovered from the war and even the Iron Curtain eventually fell, but it was a heck of a bumpy storm. What I don’t get into in the column is that compared to most contemporary economists, Keynes was an extremely deep thinker about the question of probability. A point he makes elsewhere about the long term is that, if you try to plan decades in advance, you’ll find that unquantifiable uncertainty dominates quantifiable risk. How was a Russian entrepreneur in 1900 supposed to weigh the possibility that within 20 years the then-nonexistent Bolshevik Party would seize power? There are a lot of major puzzles associated with this, but one practical lesson is that derogatory phrases like “kicking the can down the road,” which are meant to make the speaker sound high-status and serious, can be pretty misleading. If you can take a real problem and kick it forward into a much-less-certain future, you’ve actually accomplished quite a lot. Hope is not a plan, but a plan drawn up under conditions of extreme uncertainty isn’t much of a plan either.